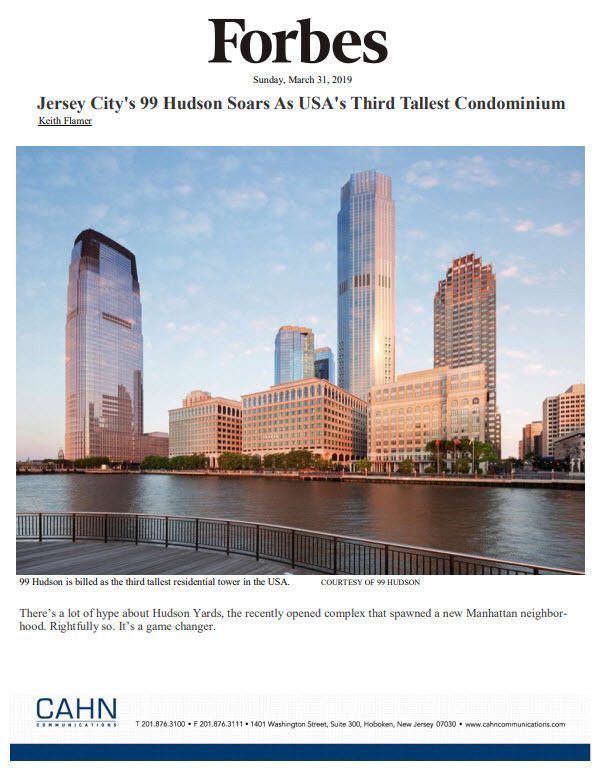 Offering upscale condominiums in a fully-amenitized building less than four miles from the George Washington Bridge, Trio’s ability to satisfy pent-up demand for homeownership in this desirable New York City suburb has pushed the development past the impressive mark of 75% sold, according to MWHF Palisades Park, LLC, the building’s sponsor. 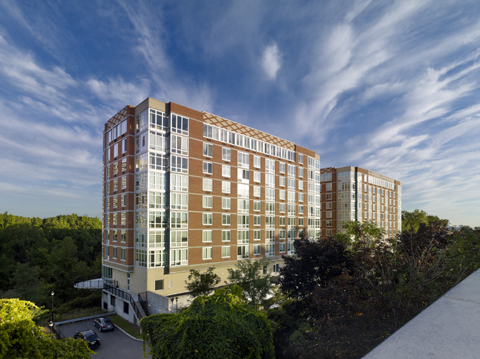 Trio features a complete lifestyle package that is often sought, but rarely found in Bergen County. World class recreational facilities and services combined with luxuriously-appointed homes and attractive pricing from $310,000. Homebuyers receive even more value with special incentives that provide up to $30,000 in savings. Trio features luxurious one-, two- and three-bedroom condominiums, with immediate occupancy available. Residences range in size from 742 square feet to 1,751 square feet and boast designer elements including floor-to-ceiling windows, hardwood floors and modern recessed lighting. 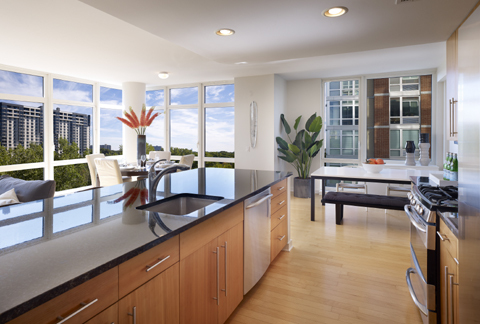 Gourmet kitchens include granite countertops, stainless steel GE appliances, custom maple cabinets, and Kohler fixtures. Designer bathrooms feature Crema Marfil marble floors, granite countertops, custom maple vanities, and Kohler fixtures. All homes come with individual washers and dryers. “Of course, the proximity to the George Washington Bridge and New York Waterway ferry service puts Manhattan’s business, social and cultural offerings only minutes away,” Mr. Orgel adds.